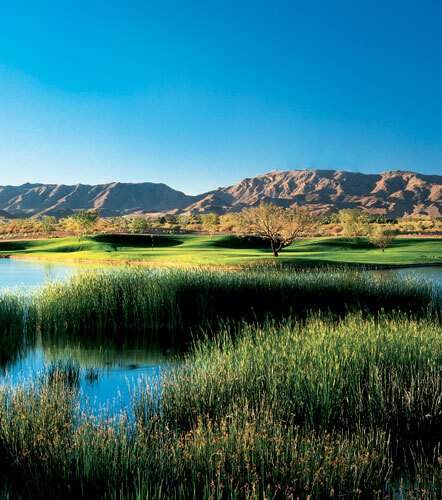 Whirlwind Golf Club (left) in Chandler boasts two Gary Panks-designed courses, while Gold Canyon Golf Resort (right) is home to two courses as well. The Dinosaur Mountain Course is shown. However, be warned, the region is vast (from downtown Phoenix to north Scottsdale is over 25 miles), so if you plan to visit either Phoenix or Scottsdale without prior planning, you may find yourself spending more time in your rental car than your golf cart. So what's the best way to plan your trip? We suggest you first pick the golf courses you want to play and then select a corresponding accommodation option. 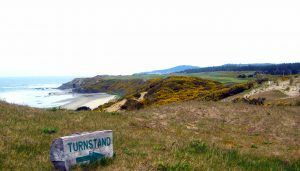 Or, better yet, opt for a "stay and play" package at one of the area's many golf resorts. For ease of use, we've broken down our roundup of the valley's best courses by region. Choose one, settle down for a few days and enjoy the great weather and even better golf. Savvy Internet users should navigate golfarizonaresorts.com, a website devoted to providing users with the best accommodation options during their stay in the Phoenix-Scottsdale area. Three strategically placed resorts cover a large swath of the region and make it possible to stay and play at the same place. 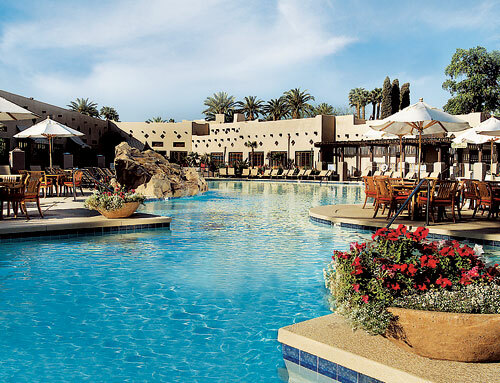 Consider the Westin Kierland Resort in north Scottsdale, with 27 holes on the premises and a 38-acre "commons" that features dining, retail and entertainment. Plus there's a lazy river at the Adventure Water Park—perfect for the kids._Ê A little over ten miles from Sky Harbor International Airport, the Sheraton Wild Horse Pass Resort features two 18-hole championship golf courses in the Sonoran Desert. Plus, there's a full-service spa, swimming pool, jogging trails and a casino nearby. 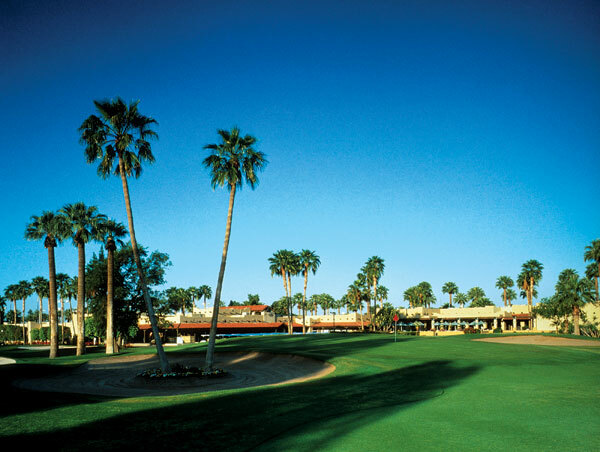 On the west side, 20 miles from Phoenix, the Wigwam Resort and Golf Club boasts 331 casita-style rooms and 54 holes of golf (two courses were designed by Robert Trent Jones Sr.), not to mention a tennis center. Oenophiles can indulge at the Wigwam Wine Society, a social wine-and-food club geared toward wine lovers. The PGA Tour The Tour swings through the area twice a year with stops at TPC Scottsdale with the always-exciting FBR Open in late January and the more subdued Frys.com Open at Grayhawk in mid-October. The Cactus League We're talking baseball, and in 2009, three more teams (the White Sox, Indians and Dodgers) will call the Phoenix-Scottsdale area their spring-training home. In all, twelve teams—including the Cubs, Rangers and Mariners—spend their spring in the Valley of the Sun. The Weather We'll keep this short and sweet: 325 days of sun, average high temperature of 75 degrees Fahrenheit in November. About 20 miles southeast of North Scottsdale is Mesa, Ariz. More than just the Chicago Cubs' spring-training home, it's also a major golf destination. The player-friendly Longbow Golf Club features many contours, hazards and spectacular mountain views. Robert Trent Jones Jr. designed Las Sendas Golf Club, a challenging course with majestic red mountain views. Another 25 miles east, Gold Canyon Golf Resort is home to two courses routed around Dinosaur Mountain. The Sidewinder Course snakes its way through arroyos and cholla cacti, while the highlights of the Dinosaur Mountain Course include its elevation changes. The unspoiled We-Ko-Pa (left) features 36 holes of championship golf; Stonecreek GC (right) is just a few miles down the road. 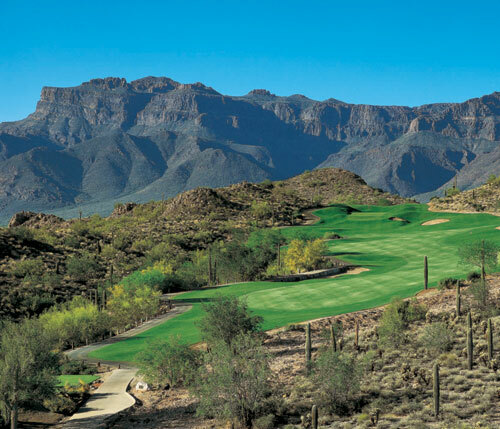 In the northeast quadrant, great golf in unspoiled environs abounds, including two courses at We-Ko-Pa. Its recently opened Saguaro Course was designed by Ben Crenshaw and Bill Coore, while the Cholla Course was designed by Scott Miller. The front nine at Sun Ridge Canyon Golf Club plays downhill, while the back nine goes uphill—really uphill. The player-friendly Eagle Mountain Golf Club is just a short drive away. Palm Valley Golf Club in Goodyear has two golf courses. One is the Palms, a regulation-length Arthur Hills design. The other, the Lakes, is an executive-length Hale Irwin design. Native grasses are the dominant feature of Gary Planks' Trilogy at Vistancia, a 7,259-yard layout that promises its guests a quick pace of play. 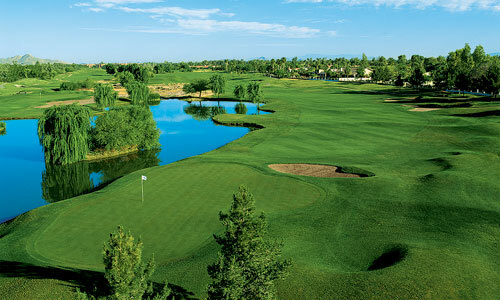 John Fought's Raven Golf Club at Verrado opened in 2004 and is an affordable desert-style course. 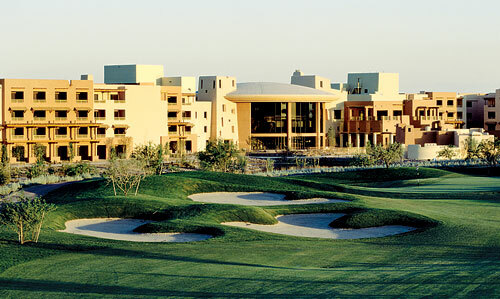 The Wigwam Resort and Golf Club is 20 miles west of Phoenix. It features 54 holes of golf (36 designed by Robert Trent Jones Sr.) and 331 casita-style rooms. According to a recent Neilsen survey, 72 percent of Americans now have access to the Internet. And it's a safe bet that many of them have booked part of a recent vacation online too. Of course, there are many advantages and disadvantages to this. Consider the person saddled with the dubious honor of coordinating a trip's minutiae, the so-called "group leader." "They draw the short straw," says Jeff Hamilton, President of Golfpac Travel, whose GolfpacPhoenix.com website seeks to "alleviate the group leader's headache." By devoting an entire password-protected area to your travel group. 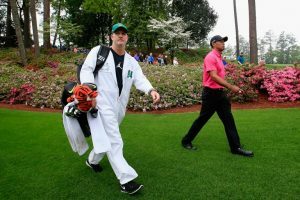 In addition to booking hotel, tee times and rental cars, site users can download driving maps and read unbiased course reviews, which, according to Hamilton, prove to be a wonderful tool. "It helps the consumer experience the course before he gets there." And because of the website's stringent policy, bogus reviews are impossible to post. "Many sites allow you to review courses before you play the course. With our site, reviewers can only be people who've played the course before." 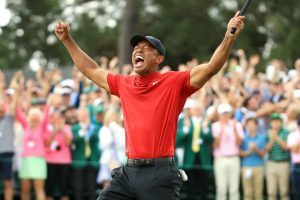 But perhaps the best thing about GolfpacPhoenix.com is its cost: nothing. And, that's Internet shopping at it's finest. Pack warm clothes and shorts. Cool mornings quickly turn into warm afternoons. Book early tee times. Winter brings shorter days, so book your tee time before noon so you don't finish in the dark. Eat a light lunch. With so many great restaurants in Scottsdale, you'll want to save some room. Play in Sedona. Two hours away and a bit cooler than the Greater Phoenix area, Sedona offers jaw-dropping views of the red rocks. We suggest Sedona Golf Resort and Oak Creek. Watch the FBR from the 16th hole. Every year, half a million people attend the tournament, and many of them camp out here, on the "Loudest Hole in Golf."